Back to the Land: The Book Tour! I’ve heard it said that writing a book is a bit like having a baby: a long, often torturous process mixing equal parts pleasure, anticipation, pain and panic as the impending deadline draws near (except, of course, publishers aren’t allowed to prescribe epidurals when you just can’t take the agony any more)… but when you finally clasp that little bundle of joy to your chest, it’s all worth it. Being a glutton for punishment, over the last 12 months I did both: I produced Lucas and my third book, Back to the Land (published by Penguin) – and now we’re all off together on a bit of an unofficial book tour, coming to a town, rugby club, school hall or gardening festival near you! Thursday October 11, Palmers Planet store, 65 Greville Rd, Albany. 6-8pm. Tickets are $10 (includes a glass of wine on arrival, nibbles and a goodie bag, plus if you buy the book you get a $10 discount). Purchase tickets in store or phone 09 477 2750. Saturday October 13, Mitre 10 Te Rapa, Hamilton, in association with Paper Plus at The Base. Come along for a Spring Gardening Bonanza – I’ll be talking at 1pm. Monday October 15, Trails Cafe, 191 King Street, Pukekohe, in association with Chapters Bookstore. From 7pm. Tickets $10, includes a glass of wine or beer and nibbles. Phone 09 239 1797 to RSVP. Wednesday October 17, Kumeu Smallholders Association. I had loads of fun chatting to this group a couple of years ago, when I was still single and living in the city. In fact, I’m sure they promised to find me a man with land. (Kumeu’s loss is Hunua’s gain…) Kumeu Community Centre, 7.30pm, contact Glyn on 09 412 5214. Monday October 22 (Labour Day), A Night in Mapua. Join me for a night of laughs (hopefully from the audience) and gardening inspiration to raise money for the local school. More details to come when I get them! Saturday November 3, Tauranga Garden & ArtFest, The Terraces, Baycourt, 11.30am-12.30pm. See more here. Sunday November 4, Ladies Litera-tea, Epsom, Auckland, 1pm-5.30pm. What fun! An entire afternoon of lovely ladies and their books (and cupcakes), organised by the Women’s Bookstore. Full details here. November 9, 10, 11, Hunter’s Garden Marlborough. A workshop a day: take your pick! Here’s the schedule. Here’s hoping I can keep the weeds down in between all those flights and road tours, because (madness) I’ve agreed to open my garden to the local garden club ladies in late November too! ← WA, all the way! What a shame that there’s nothing closer than Marlborough for your Wellington fans! Ditto! I brought the book a couple of weeks ago and devoured it within a couple of days, so would have loved to come along to a session. But alas Marlborough and Taranaki are a little bit too far! Yes let’s lobby for a WELLINGTON visit! (I’d even offer homestay accommodation Lynda!) And Lynda, I saw SOMEWHERE that I could buy your autographed book, probably in either your weekly newsletter or NZ Gardener mag, but can’t find the reference anywhere now that I’m a bit more flush 🙂 where was that, and am I too late??? I was actually down in Wellington for Queen’s Birthday this year presenting workshops at the Handmade Festival, so you never know, they might invite me back next time. I’ll keep you all posted. SOS – I’ve got a new raised garden and my husband emptied his unwanted bedding sand into it and mixed compost through. Now my hydrangeas are dying by degrees. HELP! Hi Lynda, loving your new book, and have just blogged about it on my book blog. Thanks for the inspiration over the years! Caan’t wait to see you in South Taranaki 🙂 Got a bunch of us going so bring plenty of books! Bought your book this morning Lynda – I’m almost through it already – don’t want to put it down. Just love the humour and honesty in your book Lynda, — Looked eagerly at your itinerary, but don’t see Gisborne on it. A shame , as I would love to have met and chatted with you. Can’t make it to Napier ,the closest you will be. Never mind, pehaps another time. You take care of your self, and your extra little bundle you have on board. Gaynor Tait . Gisborne. What about coming to the deep south – we have garden clubs and festivals done here too. I’m off to the Gore Rhododendren Festival on Sunday – why aren’t you there? It was so cool to meet you today in Hamilton, Lynda, and your lovely little man and his doting grandparents 🙂 I’m so looking forward to getting my nose into your book – and only surfacing for coffee & cake, lol! Hi Lynda, My husband and I thoroughly enjoyed your workshop ‘Edible Garden’ in Blenheim on Friday. We are both so inspired by it. Thanks for the quince tree. We have a spot picked out for it and we intend to espalier it. I’ve put the dollars through for the book. I’m really enjoying reading it. Many thanks, Louise. My mum gave me your book for my birthday, it has not left the table since, I have read it from cover to cover, and always go back to it. The articles are great down to earth and I have since been buying seeds to increas our garden beds. Thanks again!!!! Hi Lynda, Happy New Year! I must tell you about my funny story… I came to your Chapter’s Bookstore Evening in Puke and asked about growing Apricots in Franklin to mixed comments ( some said they would fruit, many said “No chance!) Soon after this my friend who accompanied me to your event noticed some funny green things on a large tree on our property. They were recognised as young apricots! This tree has never fruited and we didn’t even see it flower. It is about 30 yrs old and I hadn’t a clue it was an apricot! The only thing I can think of that changed its fortunes was me planting another apricot on the neighbouring property in Pukekawa in winter and that it is its pollinator! Probably the best discovery I have had in years! Picked about 10 kgs of the juiciest, sweetest fruit I have ever tasted and now am very keen to graft it to grow more of this variety that has done so well organically! Anyway, I know I have asked you about fruit trees in this area on more than one occasion so wonderful to have such excitement in my orchard! loved your book. I requested it for Christmas from my kids and enjoyed every minute of it. 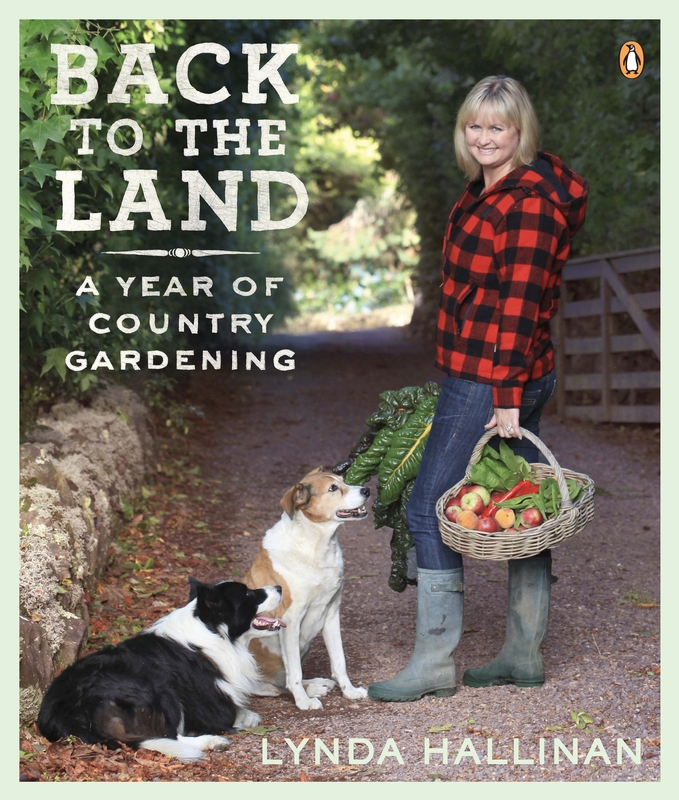 Would love to read about another year in the life of your garden… is there a possibility of another book? I enjoy painting flowers and your blue hydrangeas inspired me to paint some. I am from Dunedin and plan to put my painting in the next Otago Art Society exhibition. Would also love to go to one of your talks if you come back this way.. I’ll be waiting in anticipation.